Recently, I have become very interested in the way new technology, legal project management (LPM), and Canadian immigration are intersecting. 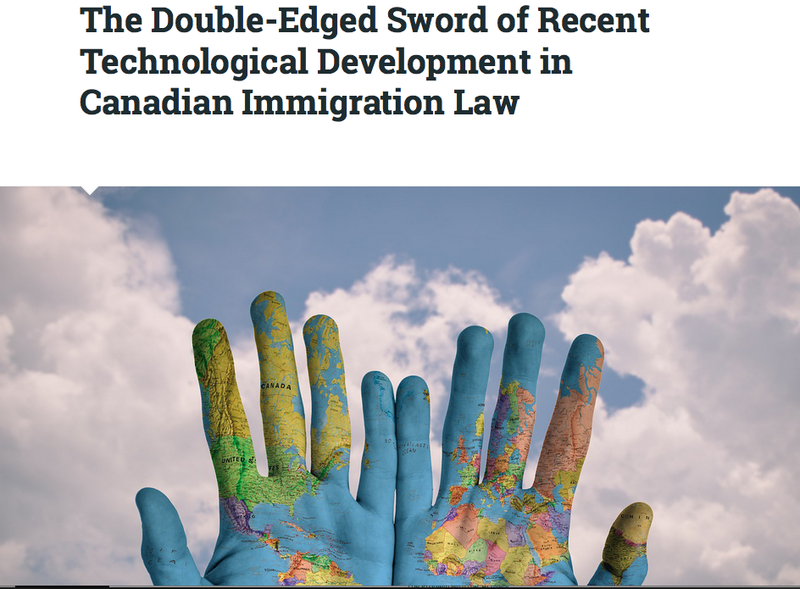 In fact, I wrote a piece for a legal app/tech-startup Kabuk law titled The Double-Edged Sword of Recent Technological Development in Canadian Immigration Law, that many individuals might find interesting. Please stay tuned for posts relating to how I believe technology will impact immigration, how prospective applicants can use technology to better manage their own immigration affairs, and how immigration practitioners are starting to use technology.